Well this is a bit late isn’t it. Here I am writing about February and it’s late March. You know sometimes how live just gets in the way – well it’s been a little like that. I have been taking images almost every day but posting about them was just a little much. Finally, it’s time to start catching up. 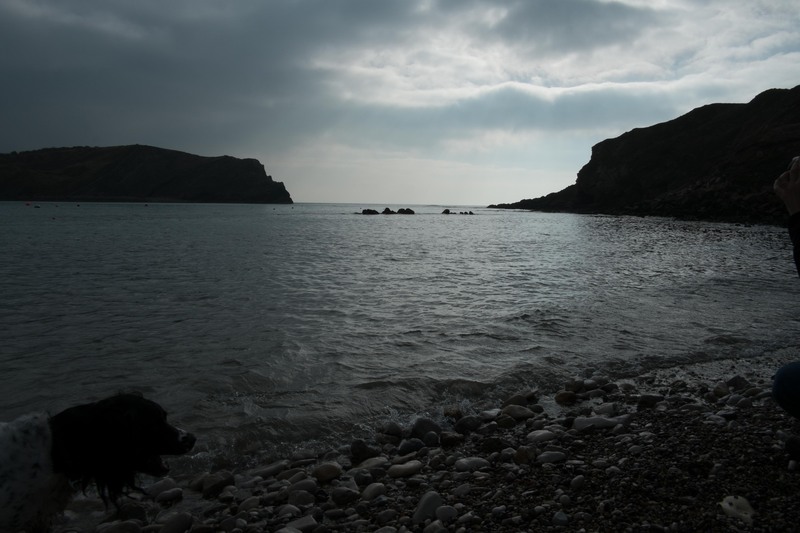 Looking back – I am learning more about the camera but there are a few images which are just a bit dark. I could alter them lots in lightroom but I prefer to remind myself right now of what not to do! 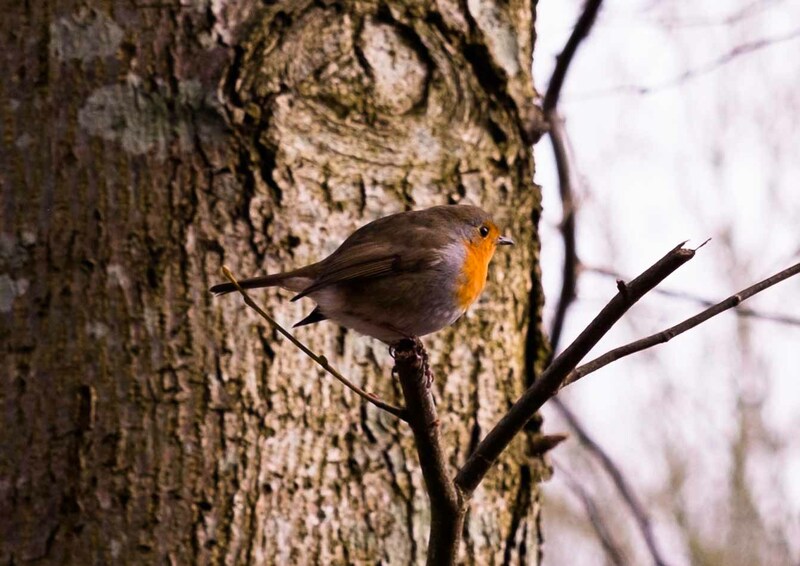 Monday 9th I had a good dog walk, slightly further than I’d made it in a while and there was no wildlife, just nothing until this little fellow alighted on a branch. Focus issues definitely but he was so bright and chirpy and colourful that he’s staying. This is one of the slightly dark images – I will get a flash one day probably. This was the start of an Easter cardie I was knitting. Kids clothes (especially when stocking stitch) are so nice and quick cause they’re small. 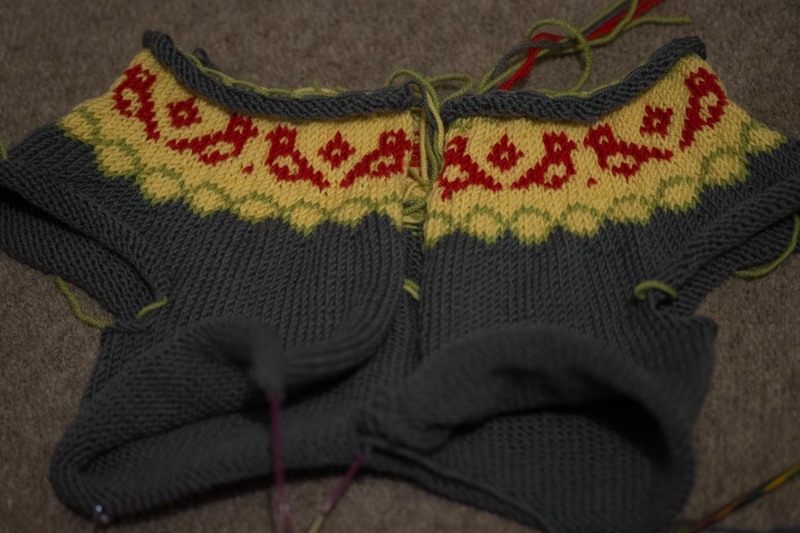 This was my first proper attempt at colour work – quite pleased with how the yoke looks. You will see this again (and again) as the project progresses. Next I was struggling a little with getting out but the local scots pine is huge and majestic so I thought it would be good to focus on trying to capture the sheer scale of him. 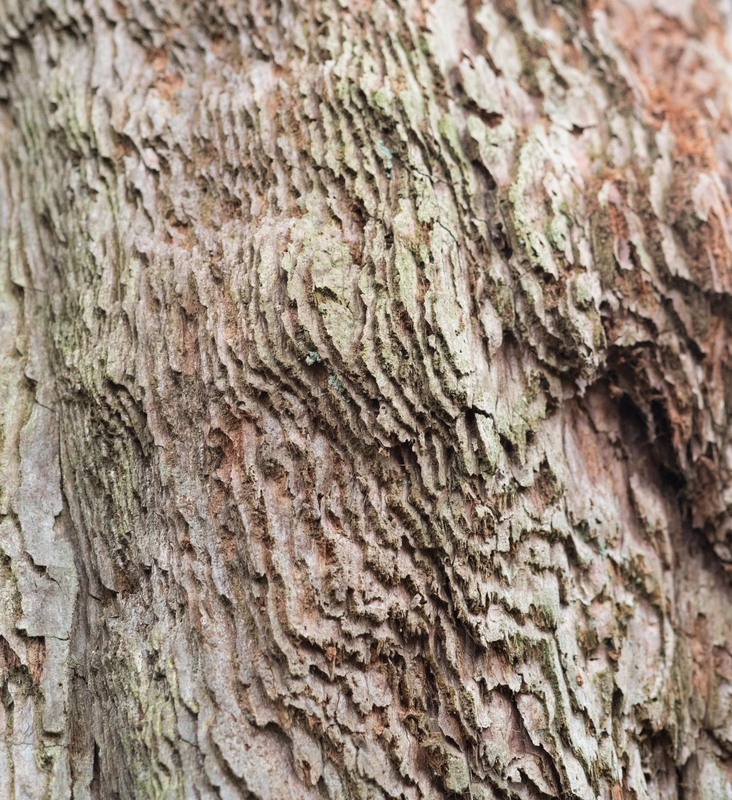 I failed miserably at that but loved the patterns in the bark. It was getting dark so higher iso and f2 on the lens … very shallow depth of field but it sort of works. 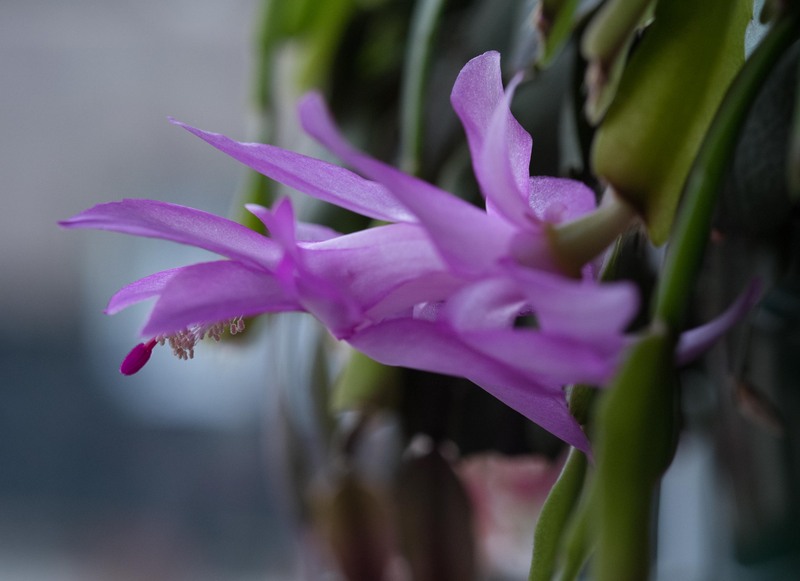 Thursday was a photograph of my christmas cactus (it’s a cutting of my mum’s and must be about 15 years old). It’s still flowering now in the middle of March. 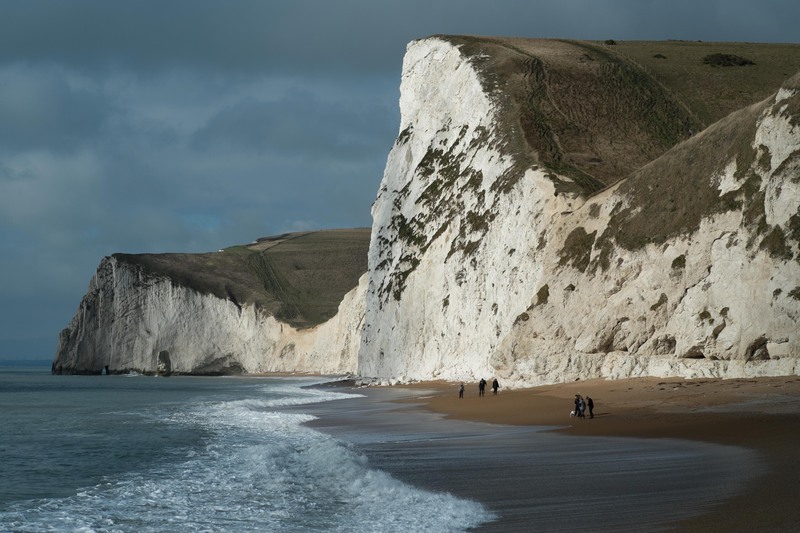 The next three are all from the same location – we had a (step)child free weekend so excitedly booked a lovely hotel down at Lulworth Cove in Dorset. Then we realised it was actually Valentines weekend. Unintentionally romantic. 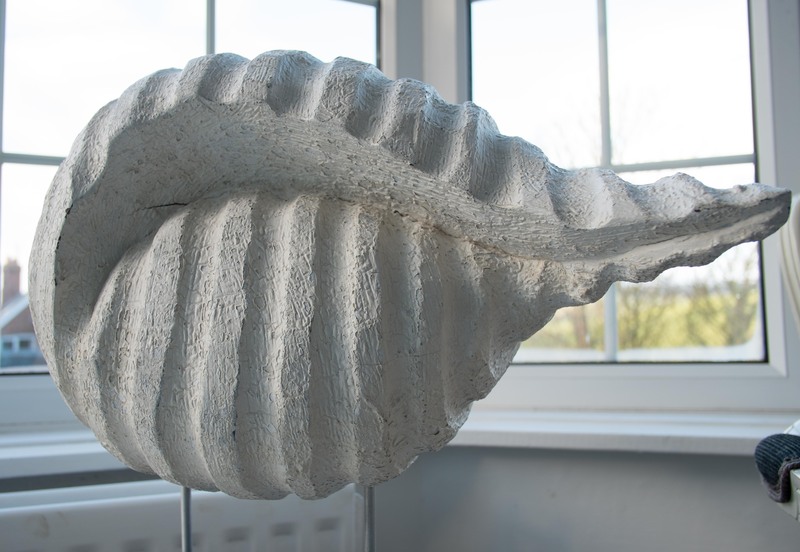 The three images are a plaster of paris type mould of a shell in the hotel room, looking along the beach from Durdle Door to the Bat Cave and the entrance to Lulworth Cove. I had to remember to change from my usual lowish apertures (as I seem to focus towards macro) and get used to f11/f16 again for scenery – the first few images were useless!